Earth Day falls over Easter this year, so we’re having a special celebration the following weekend, Sunday April 28th! 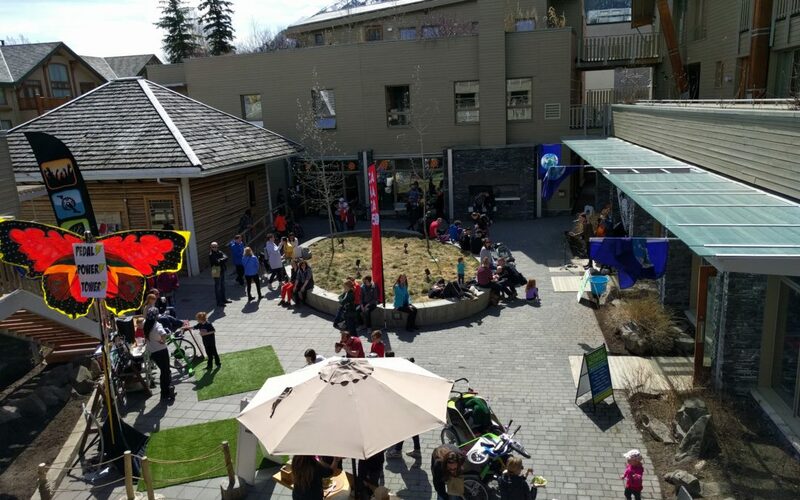 From 12-4PM the courtyard will come alive with live music, face painting, crafts and activities. The focus of Earth Day 2019 is ‘Protect Our Species’, a message that’s particularly relevant for us here in Banff National Park, where we’re lucky enough to live alongside so much amazing wildlife. We’ll be screening free short wildlife films in the meditation room, teaming up to paint an animal mural, and making upcycled planters to take home. Cycle your way to a healthy snack with our smoothie bike station, provided by The Magpie & Stump and Banff Food Bank, and learn about the environmental initiatives and incentives on offer from Town of Banff. Plus lots more fun activities from our amazing courtyard businesses, who we’ll celebrate at the end of the event as we present our annual Triple-Bottom-Line awards for community and environmental contributions. We’re also excited to welcome Mountain FM, who will be broadcasting live from the event! Don’t miss out: join the Facebook Event and follow along as we announce the full afternoon lineup!